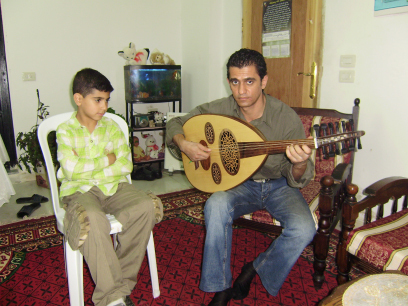 Iraqi Music Schools were set up by Musical Ambassadors of Peace in the largest Iraqi refugee populations of Syria so that Iraqi refugee children could carry forward the ancient microtonal music styles and the ancient poetic lyrics of their civilization. The creation of these schools was met by these Iraqi refugees with a huge welcome. Having been driven out of their home country, millions of them were living in Syria, the only country into which they were allowed entrance in large numbers. Many Iraqi musicians, highly skilled in these ancient indigenous styles, took this opportunity to begin the work of passing their art onto young Iraqi refugee children while earning precious livelihood for their families. 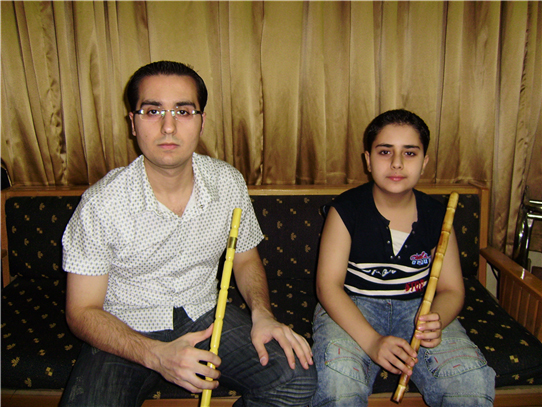 From 2008 Through 2011 Musical Missions of Peace succeeded in providing $9000 in support for these Iraqi musicians to teach. After 2011 it became impossible to continue to maintain the program in Syria. 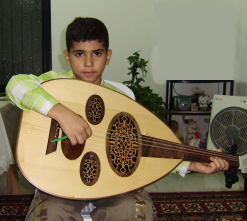 We have sources in Syria for traditional instruments for maqam music such as ouds, violins, qanuns, nays, riqqs, and santours so that these Iraqi students can practice their musical arts.